Tai & Raymond just knew they didn’t want to spend all day on their wedding day taking portraits. They had a ton of family and friends present who wanted to share in their love, and they wanted to reciprocate that love. So, we sat down before their wedding day and decided to schedule their more intimate portraits the day after the wedding. Many people know about engagement and bridal portrait sessions. Now, if I mentioned an After Session, you would probably hit me with a blank stare. After Sessions are just that… they occur after your wedding day. But, here is a little-known fact: tons of great portraits you see published in top wedding and bridal magazines likely came from an After Session. You want lots of wedding day portraits. You don’t want to do a first look, and you’d rather spend the time following the ceremony with family and friends. It’s great seeing all of your family and friends in one place to celebrate your day. You get to hug, dance, drink, and say “dilly dilly” to all of your favorite people. You don’t want to spend a long amount of time doing portraits, and you’ll probably never see all of these people together again. So, while I understand why some clients want to skimp on the portrait time so they have more time to spend with family, I find that many regret it later. With After Sessions, you can have your cake and eat it too. You can relax and not have to worry about getting your wedding dress dirty. Because who wants to worry about having to get their wedding dress cleaned before the wedding? The worst thing about bridal sessions before the wedding is that everyone freaks out about getting the dress dirty. Walking on sidewalks, floors, literally anything will probably affect the bottom of the dress. If you want to preserve your dress after the wedding, you will have to get it cleaned anyway. After Sessions are much more relaxed because you don’t have anywhere to be, nor do you have a wedding day schedule. You can go to great locations that you’d never be able to fit into your wedding day logistics. Maybe its a national park, or a great place you guys visited that’s near and dear to your hearts. The options are endless. Maybe you are getting married in a church and having a downtown reception, but would like more greenery. Maybe you are getting married in a barn and would like to incorporate the city where you had your first date. An After Session gives tons of time and freedom. You’ve planned a destination wedding and want to take advantage of the location. 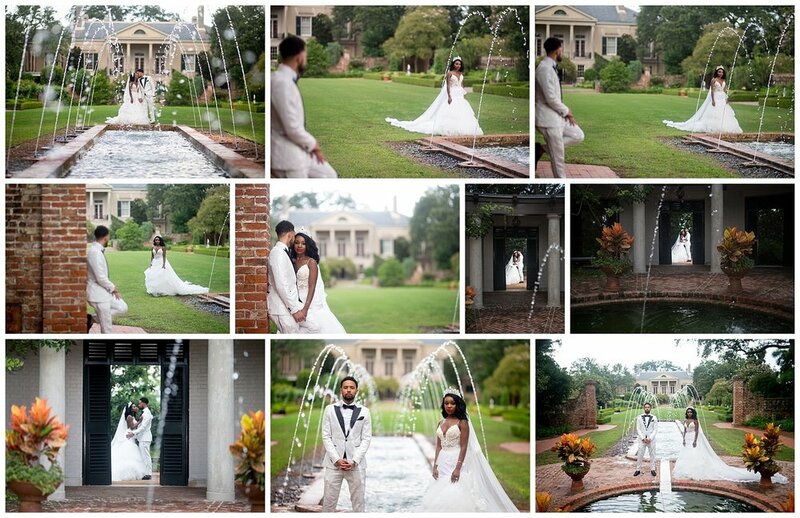 If you are planning a wedding in a spectacular location, After Sessions are a great way to take advantage and get jaw-dropping photos. If you are flying me somewhere, or if you are flying here, you might as well get the most out of the occasion. Make sure you book your After Session as soon as possible so we can schedule it into the travel dates and plans. You weren’t able to take many portraits on your wedding day for a variety of reasons. *Unless your are planning a destination wedding with travel. We will have less flexibility, but we can still rock your session. Are you ready for your After Session now? Let’s plan it. Even if I didn’t take your wedding photos, we can certainly still make some magic. Take a look at Raymond & Tahjuwon’s After Session below.